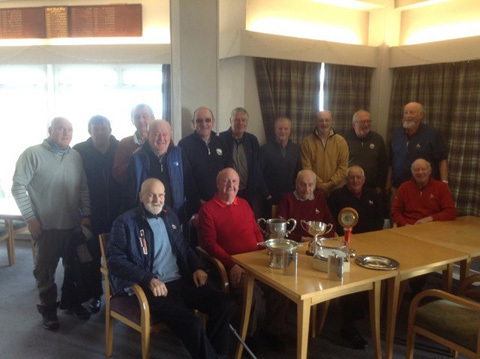 The BOBS (Brora Old Boys Society) are senior members of Brora Golf Club who play 15 holes under Stableford rules each Tuesday morning (weather permitting). During the summer season from April until the end of September, we meet up at 8 a.m. to play a weekly competition, enter the 'Magic 2s’ and occasionally compete for a cup. From October until the end of March we meet at 9:00. All scores also go towards the Eclectic and Order of Merit prizes. We are always pleased to welcome visitors who do not necessarily have to be senior citizens. Often during the summer months we have quite an international field of locals and visitors. Further details are on the notice board by the outside door to the changing rooms. The B.O.B.S. with their trophies after their 2019 A.G.M. Continues until 26th March 2019. Tee booked Tuesdays from 09:00 to 09:30. Please arrive by 09:00 to avoid disappointment. Tuesdays from 2nd April until 24th September 2019. Tee booked Tuesdays from 08:00 to 08:50. Please arrive by 08:00 or shortly thereafter. 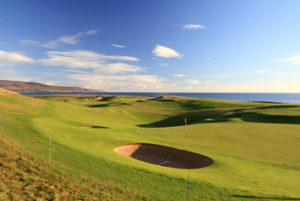 No BOBS during Brora Golf Week or Brora Five Day Open. Starts Tuesday 1st October 2019. Tee booked Tuesdays 08:00 to 08:50 through to 22nd October 2019. Please arrive 08:00 to 08:30. Exception tee booked 09:10 to 09:40.